HomeBlogShould I dress my pet up in festive gear? There are plenty of ways you can get your pet involved, and some people do this by dressing their pets up in festive costumes. Sharing the fun and being silly is part of the joy of the season, but if you are going to dress your pet up, there are a few things you need to think about to ensure your pet is having a good time too. There are many different kinds of costumes on the market. While little antlers and Santa hats are okay to wear as long as the pet is comfortable, the RSPCA recommends that in Australia we follow some simple guidelines when it comes to costumes that cover the body. The body costumes, which are made of synthetic fibres such as polyester, can cause your pet to warm up very quickly and become uncomfortable. 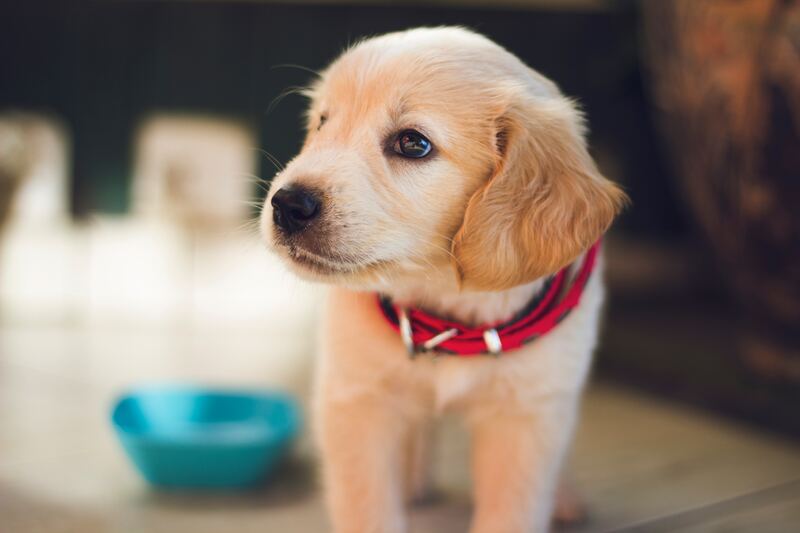 In the worst of cases, your pet could become overheated and will start to show signs of heat stroke such as vomiting, distress, and collapse. Therefore, it’s important that pets are not made to wear costumes when the weather is hot, for longer periods of time or if your pet appears uncomfortable. Just as when a dog is wearing a harness or lead, pets should be supervised when they are wearing costumes. Pets may become entangled in their costumes, potentially cutting off circulation or airways, which can be dangerous. Your pet may start to scratch or chew at the costume in an attempt to remove it, and may accidentally swallow pieces of fabric, which can cause them to choke, or get stuck in their digestive tract. So make sure you keep an eye on your pet while they are wearing the costume and be sure not to leave it on too long. Be aware that wearing a costume may make it difficult for your pet to communicate with you. Animals use body language to tell us how they are feeling, and if their movement is inhibited, they might not be able to tell you if, for example, they are stressed or have to use the toilet. The costume may move around a bit too, and cause and obstruction to your pet’s ability to walk, see or hear. This is another reason that your pet should only wear a costume for a short period of time and only under close supervision. Finally, if your pet looks uncomfortable, is a reluctant participant, and just isn’t into it, it’s best to abandon the idea. No pet should have to suffer for our fun. Animals don’t naturally want to wear clothes, and yours might prefer to wear a festively decorated bandana instead. There are plenty of other ways to spoil your pet throughout the season, and many of them involve treats and fun, so watch this space where we will be putting together a list of exciting things you can do with your pet during the holidays in the coming weeks.